Packaged water has been met with growing criticism due to the environmental damage it creates, and Danone is doing something about it. They’ve upgraded the Evian bottling plant, the biggest bottled water brand under the company, to be carbon neutral. Over the next three years, they’ll be looking to make transportation pollution neutral as well. Evian is one of the more popular bottled water brands in the world. You’ve undoubtedly seen them next to brands like Aquafina, Dasani, and Glaceau’s Smartwater. Back in March, bottled water became a higher seller than soda in the United States as residents have opted to look for healthier options when shopping or getting a drink from the vending machine. Where does Evian water come from? Evian-les-Bains, or simply Evian for short, which is a spa and resort town on the shores of Lake Geneva in Southeast France, is the source. It tends to be a higher-priced option on the shelves since it’s imported from overseas. Unfortunately, that also adds to the carbon footprint of transportation. 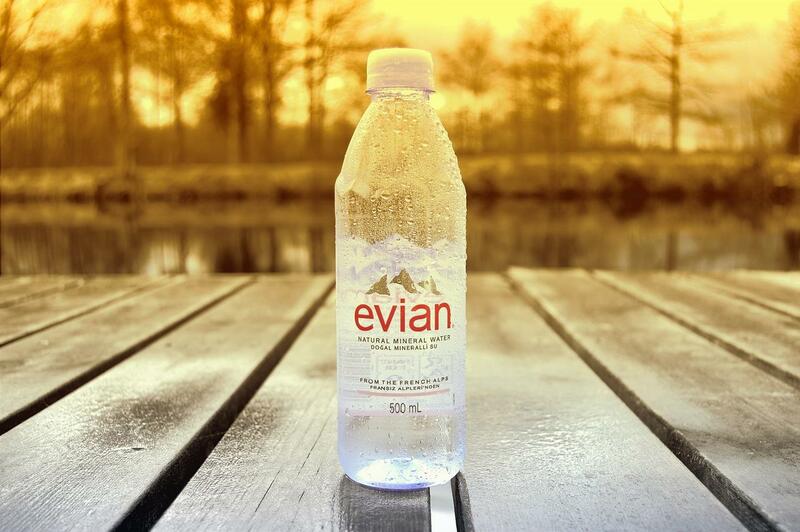 Danone has been making strides to improve the impact Evian water bottles have on the environment. For example, they have already been certified by the Carbon Trust as a brand that is working in a carbon neutral environment. A certification seal will be on water bottles beginning in January 2018. They’ll also be aiming for additional rail transport instead of using roads to cut back on emissions in the future. The company invested $336 million US to be completely carbon neutral in production. They’ve converted all of their water bottle material to be 100 percent recyclable and are fully powered by renewable energy. Since last year, they’ve helped local farmers convert 40,000 tons of cattle manure into biogas and fertilizer with the Terragr’Eau methanizer. They’ve also teamed up with the Livelihoods Carbon Fund to offset 10 million tons of CO2 emissions by planting over 130 million trees. Bottled water use will likely remain controversial as there’s cheaper, alternative ways to get it into your system every day. An example would be filtering tap water and carrying it around in a reusable, BPA-free water bottle. In cases where bottled water is needed, Evian provides one of the more eco-friendly solutions that other companies will be pressured to follow.